Last week it was Sunrise at Geneva Lake. 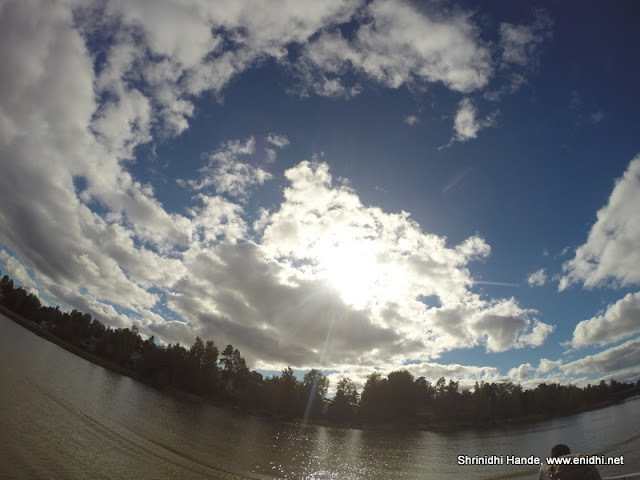 For this week’s skywatch I am posting dramatic pictures of the sky, clicked during a board ride in Helsinki, Finland. 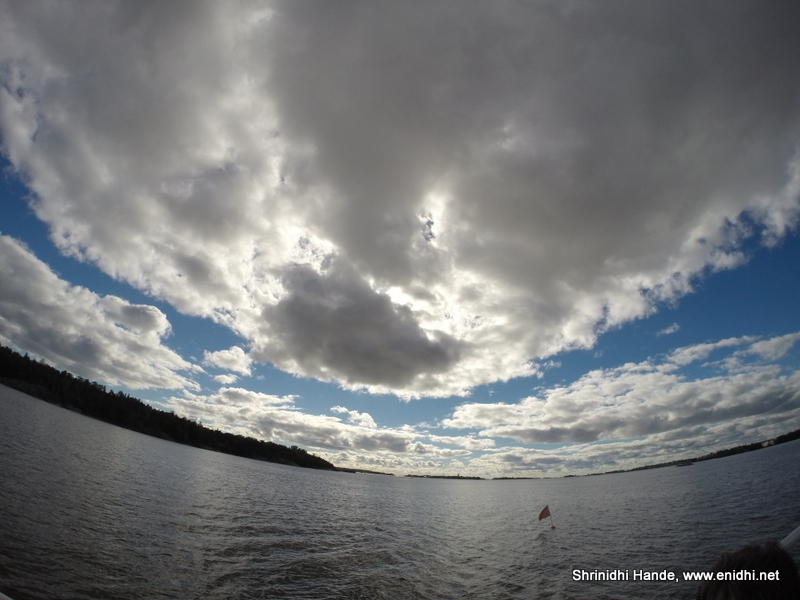 As the 24 Euro boat ride took us around the islands and passages of Helsinki, sky above was very dramatic. 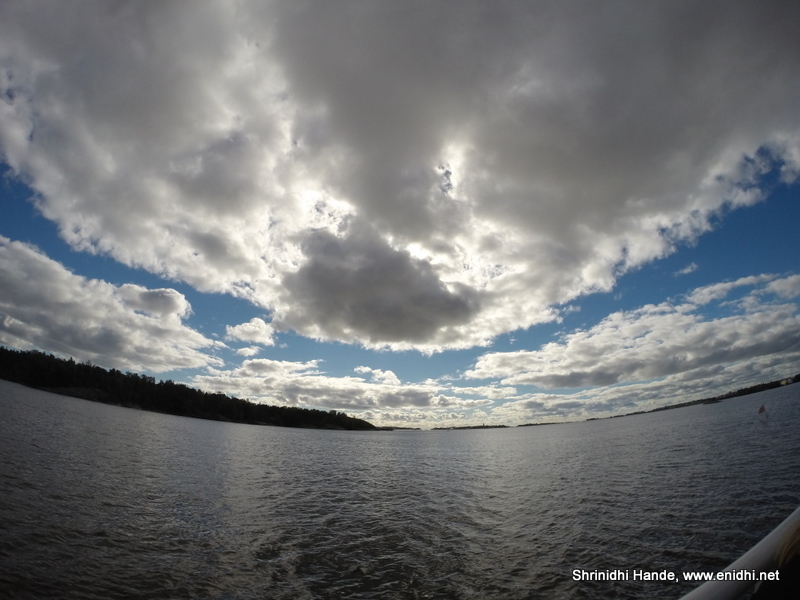 Took more pics of the sky than land during my 90 min boat ride. Hope you like these pictures. That's the kind of clouds I want to see when I'm out skywatching. I like the super-wide angle shots. Did you use a fisheye lens? 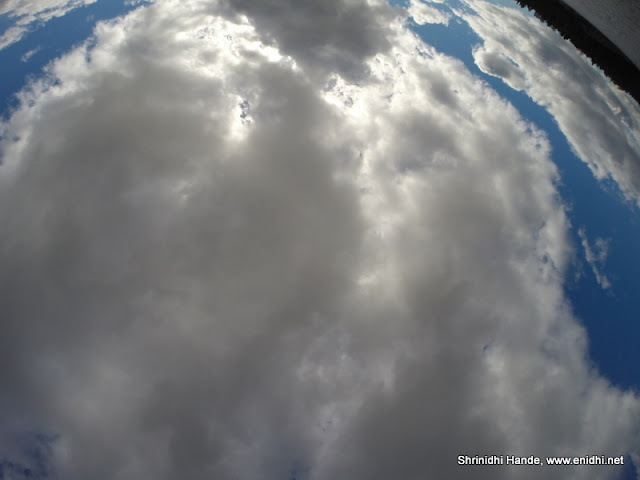 I used GoPro :) which is wide angle.. Very well taken, dramatic shots! Thanks Yogi, Niranjan, Ladyfi, Indrani, Rupam and Arun. Interesting views, in the beginning. Beautiful cloudy skies!